* class fee separate, we will email you your copy of the class hand outs once your order has been processed. Create beautiful keepsakes for your new bride and groom. 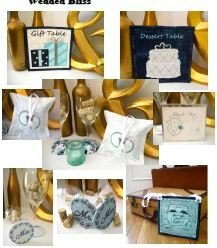 Everything from the ring bearer pillow to wine glass Mr and Mrs!